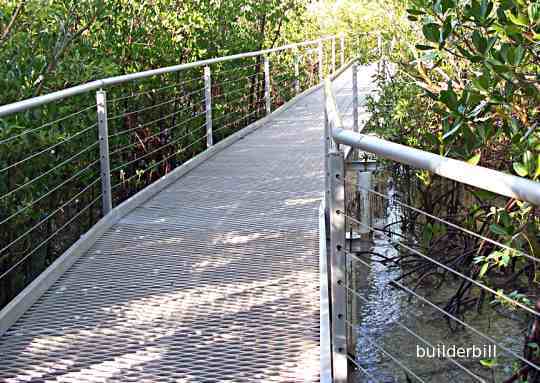 A complete railing system which may consist of vertical members and rails and any infill panels, wire etc. to stop people and objects falling off stairs, landings and balconies etc. A small post used to support a handrail and to infill the section below it. Our regulations (BCA) state that any railing system, be it on stairs or balconies must not have a gap that will allow a 125mm diameter ball pass through any of the gaps. 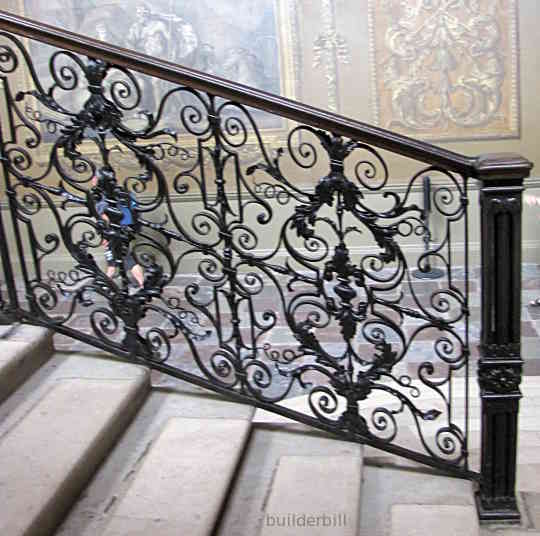 The extremely fine wrought iron handrail in fill system above would comply in spite of the fact that it was built a few hundred years ago, before building regulations were introduced. At the right is a set of traditional balusters. With square ends to make the fixing to the rails easy and with turned bodies for decoration and lightness. These are particularly heavy examples. 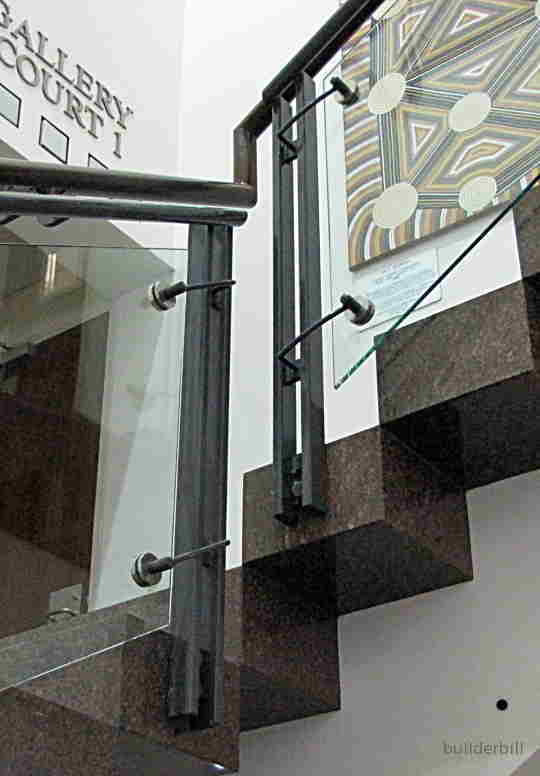 Modern designers can use just about any materials they choose to provide the infill for the balustrade. Provided that it is strong enough. The walkway below is a common way of filling in the space for balconies and stairs, yet it still retains the minimal open look and also allows breeze ways which is important in our tropical climate. The system uses stainless steel wire with a selection of fittings including swaged and threaded ends to the wire and turnbuckles and shackles etc. derived from the marine industry. This make it a very economical system. The stair at the bottom uses toughened glass panels and fittings that have been developed by the glass industry for windows and glass walls etc.